GCC and GCC Partners hold events to raise money for the continuation of programs all year. All events exist through the hard work and donations of volunteers. GCC partners Moshi CAB and Moshi Youth CAB represent the community during the annual March event. GCC has partnered with Duke University's FaceAIDS student group to bring students and campus groups together to learn more about how the HIV/AIDS epidemic affects all populations whether it's in Durham, NC or across the world. Free HIV rapid testing will be conducted on site and other Duke global health campus groups will display information about their work. GCC had a great time working with Duke FACE AIDS and Condom Couture, a fashion show featuring garments made out of condoms. Condom Couture is designed to be a fun and unique way to start a conversation about HIV/AIDS on Duke's campus and raise money for HIV treatment. All proceeds go to support HIV-affected individuals by providing breast-feeding mothers with formula to prevent the risk of HIV transmission to their children. Check out more information about Condom Couture here. 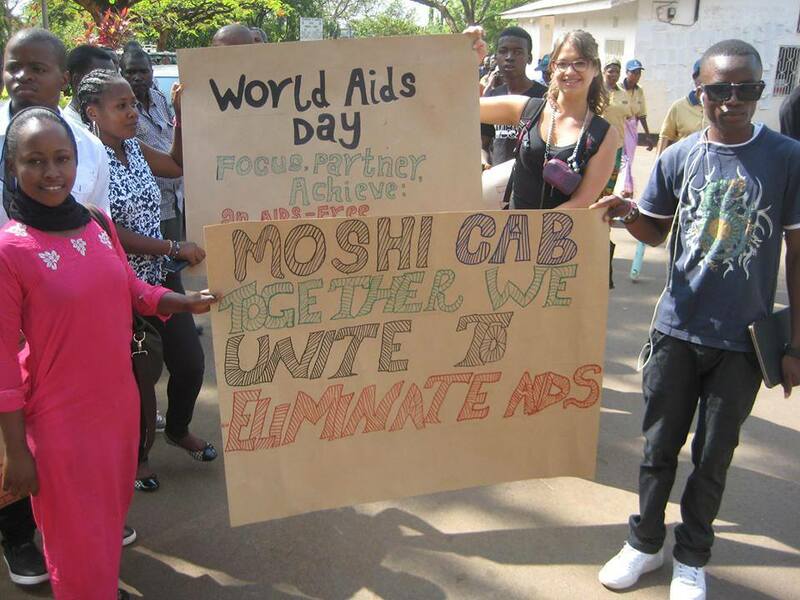 GCC partners Moshi CAB and Moshi Youth CAB represent the community on the annual December 1st celebration and remembrance of World AIDS Day. March, education, and demonstrations take place in downtown Moshi, Tanzania. Hosted by drag queen comedian Purina Chow, GCC supporters come together for fun, delicious food, and community building.